Zeus, our California kingsnake, is a former pet. Wild snakes that have been taken as pets should not be released back into the wild, because they have lost their “home” to another snake. These homes, or territories, are defended against other kingsnakes. 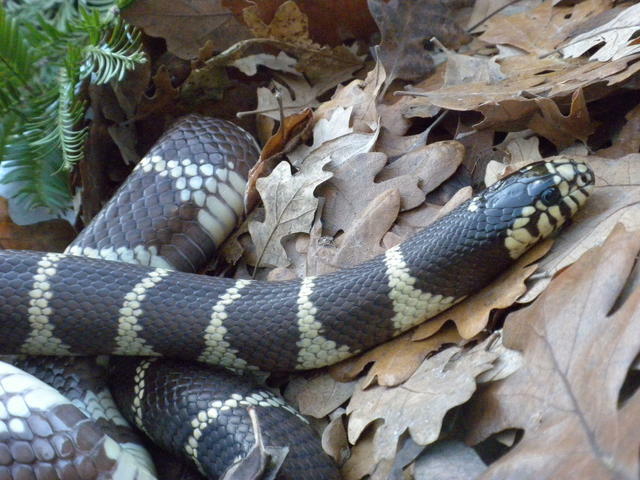 Our kingsnake is safer living at Lindsay Wildlife than it would be if re-introduced into the wild. You’ll be a “king” too if you adopt this snake today!